Attention Builders & Investor-Renfrew neighbourhood this centrally located, north facing, quiet street, on wide part of Charles Street. 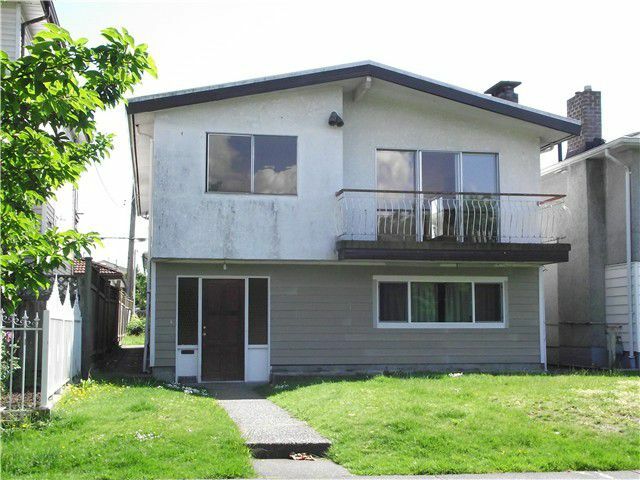 RS-1 zoning level lot 33'x127' a very nice bldg lot for 3 level future dream home, current Vancouverspecial is still very solid w/3 bdrm up & 2 bdrm down 2 bath, 2500 sqft very spacious w/original hardwood flr on main. Large back deck w/southern exposure. Conveniently located near school, public transit, park, community centre, shopping. Property is being sold "As is-where is" condition. Please drive by view property first. Do Not go on property w/out appt. Call listing agent for more details.